Since its inception, we have known that the direct effects of trawling can be disastrous. Beam trawling can decrease the density of echinoderms, polycheates, and molluscs by up to 65%. Frequent trawling of a single area can prevent recovery entirely. The speed of the vessel, weight of the trawl, and frequency of disturbance all have a negative impact on benthic communities. Polycheates, which recover faster than other affected benthic organisms, may out-compete less effective re-populaters. In general, increased trawling results in community shifts from fragile, hard-bodied animals such as crustaceans and echinoderms, to soft-bodied animals, such as polychaetes. These changes to the benthic community can have indirect affects on populations that prey on it. Even organisms that aren’t directly hunted by beam trawl will feel the ripples as ecosystem damage radiates out from it’s source. A recent study in the journal Marine Biology examined the indirect effects of trawling on the plaice, a commercially important fish, in the Celtic Sea. 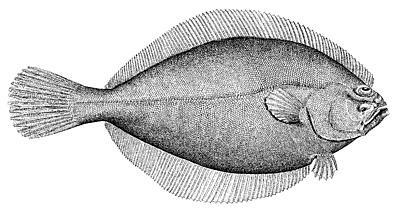 Plaice occur consistently in two benthic habitats – sand and gravel. In sand habitats they prey predominantly on polycheates, while in gravel habitats their prey consists of echinoderms and small crustaceans. The authors followed a gradient of trawling effort across both habitat types to determine if there were habitat-dependent indirect effects of trawling on plaice growth. They discovered that, in sand habitats, where the plaice prefer polychaetes, trawling had a small, positive effect on growth. In contrast, trawling over gravel, where the plaice eat crustaceans and echinoderms, had a strong negative effect on growth. These indirect effects can be correlated to trawling activity, but there is a confounding factor. Over gravel seafloor, beam trawls are used 53% of the time, with the other 47% accounted for by otter trawls. Otter trawls are lighter and don’t do as much damage to the seafloor with each pass. On sandy seafloor, otter trawls account for 74% of all trawling, so the small positive effects of trawling on sandy seafloors may have less to do with changes in community structure and more to do with the minimal effects of a less destructive trawl design. The negative effects of beam trawling on gravel may represent order of magnitude decreases in prey abundance. Interesting post. Large-scale ocean fishing always scares me, because it’s so disruptive to ecosystems. I don’t know that we can expect to see it decrease in the near future, though, given how profitable it remains. This is a great find, thanks for publicizing! But perhaps it’s just an example of the world’s second-oldest profession–fishermen complaining about the other guy’s tool. Centuries later, commoners still find it difficult to persuade decision makers to move conservation legislation. The Unnatural History of the Sea is a fine little book and well worth a read. This little vignette once again shows the fallacy of thinking environmental consciousness began with a bunch of Western hippies in the 70s.